10:19pmET: Just a quick DST note...you may notice the Chargers DST has a great PPG projection ahead. Do you see the next four weeks? Bortles, Tyrod, Prescott, Kizer. Couple nice ones in there...and obviously the Browns push the averages sky high. Weak run defense. Nice pass defense...#8 in the league and climbing. #4 in sacks. Minus Brady dropping 300+ on them, and they've held opposing QBs to under 200 yards passing in 6 of their first 8 games of 2017. 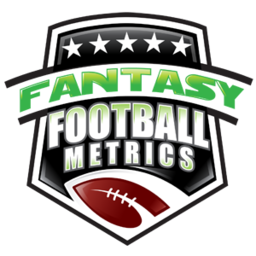 7:08pmET: Week 10 first-look projections are now posted. Note: The weather-related game concern of the week...Saints at Bills. 30+ degrees and rainy, potentially. You have to be a bit concerned about Brees & the weapons in that environment. 5:28pmET: Did you see that Texans cut Matt McGloin and signed Josh Johnson? Johnson last played in the NFL in like 2011, I think. Why would they do that? McGloin has experience. He's decent. He was Bill O'Brien's QB at Penn State. Why dump an experienced backup for a guy I didn't know still existed. I'll tell you why...we might see Josh Johnson starting within a few weeks. I think Bill O'Brien saw the light with Deshaun Watson. You can have a really bad O-Line and team...but a highly mobile QB can change the landscape, and NFL defenses act like they are powerless to stop it. Has to beat watching Savage get sacked every other play. Those on 2-QB starting leagues, desperate for any crumb at QB. Keep your eyes open on Josh Johnson rumblings. Johnson wasn't bad at all...just a mobile guy trying to get pushed into traditional offenses and it didn't fit right (see: Brett Hundley circa last night). 12:11pmET: Watch the Dallas injury report...star LT Tyron Smith has a reported groin injury. Seems slight, but if he cannot go + Elliott out...not great for the Dallas offense. -- Dynasty Stash will post later today not this morning, as I had planned last week. Somewhere around 5-7pm it will post in time for some consideration pre-waivers Tuesday. The original post will be a collection of 10-15 names with commentary. We will be adding names daily this week and by week's end we will assign valuations to the list with 20+ names. Right now we're just gathering the top suspects, and all week we're trying to assign their current value/interest level. It's tricky with all the different leagues, scoring systems, roster levels, etc. It's difficult to know what names to consider and which to exclude. Initially, we try to have names more available on waivers or pretty cheap in trade and then start building a Frankenstein list from there and updating weekly. -- The 49ers are devastated with injuries yet again this week -- Trent Taylor, Jaquiski Tartt, George Kittle, OL Garry Gilliam. The 49ers have the worst impact of injuries on their team more than any team in the NFL right now...and the 49ers were bad to begin with. Most of their OLine. Staley, Garcon, Taylor, Kittle...gave away Navorro Bowman. It's ugly...and a reason why The Computer feels the Giants are the best bet of the week right now. The 49ers -1.5 line has quickly dropped to NYG -1.0 because we can move markets. I hope you got an early taste on this Monday. -- I'm guessing Bryan Bulaga is done for the year for GB...further precipitating the Packers collapse. The Computer loved the Bears -3.0 yesterday, and likes -5.0 today. -- Winston-Evans out for TB. Consider two things this week on Tampa: (1) Fitzpatrick returns to face the Jets, a little extra revenge sauce on their potentially. (2) Fitz would have had a ton of work with Chris Godwin as 2nd-teamers...and now Godwin steps up to start with Evans out. Godwin is a deep sleeper this week.